Is there any other room in the house in which we spend more time? We’re talking about the kitchen, of course. From the daily three meals prepared there (especially on weekends), to holiday dinners, to hosting events for friends, the kitchen is the heart of the home where prep occurs, people gather, and meals are enjoyed. The kitchen is also the part of the house where function and fancy come together. And who isn’t always in the mood for a refresh? Especially if it’s been a while? 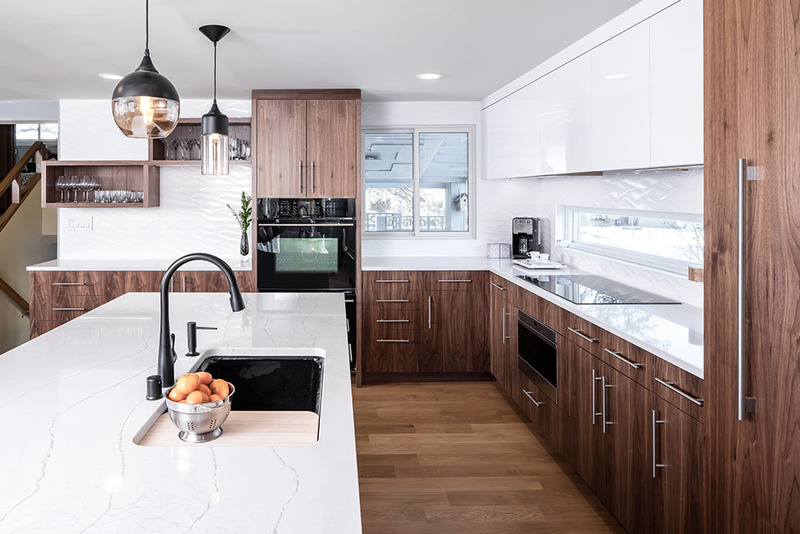 According to the décor blogs, glass and steel room dividers, intriguing backsplash walls, moody hues, and indoor-outdoor spaces (extending the kitchen to the backyard) are among the hottest kitchen trends for 2019. What’s out? The all-white kitchen. Jackie Millea, a founding principal of Shelter Architecture in Minneapolis, and last year’s Emerging Talent winner, agrees with some of the pundits. 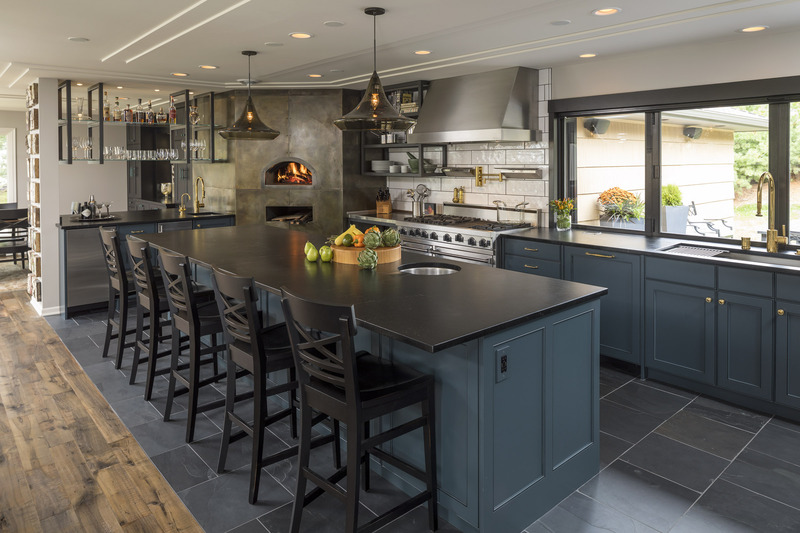 Here’s her take on six fabulous 2019 kitchen trends in Minnesota. 1. 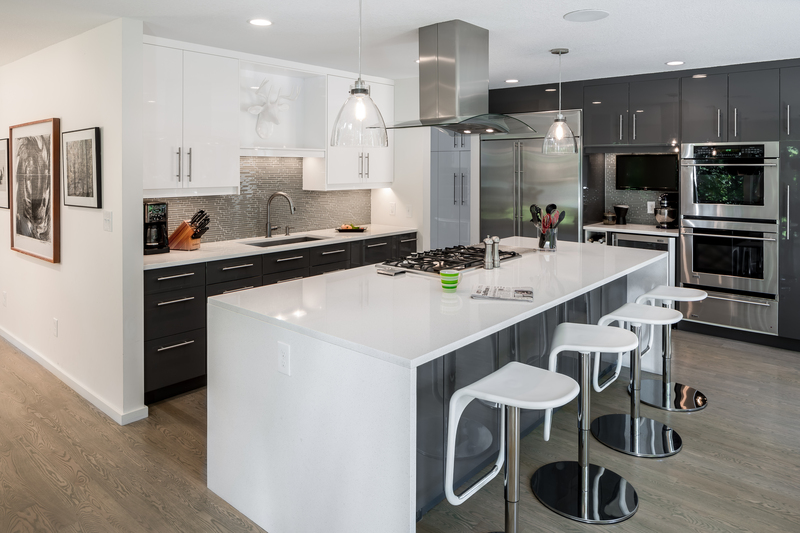 Integrated Appliances: “I’m feeling like this is the second big wave of this trend. It was first seen in the 50’s and 60’s. This time around there seems to be much more customization. This could be, in part, connected to the trend of decluttering the kitchen.” Cue Marie Kondo and let the decluttering commence. 5. 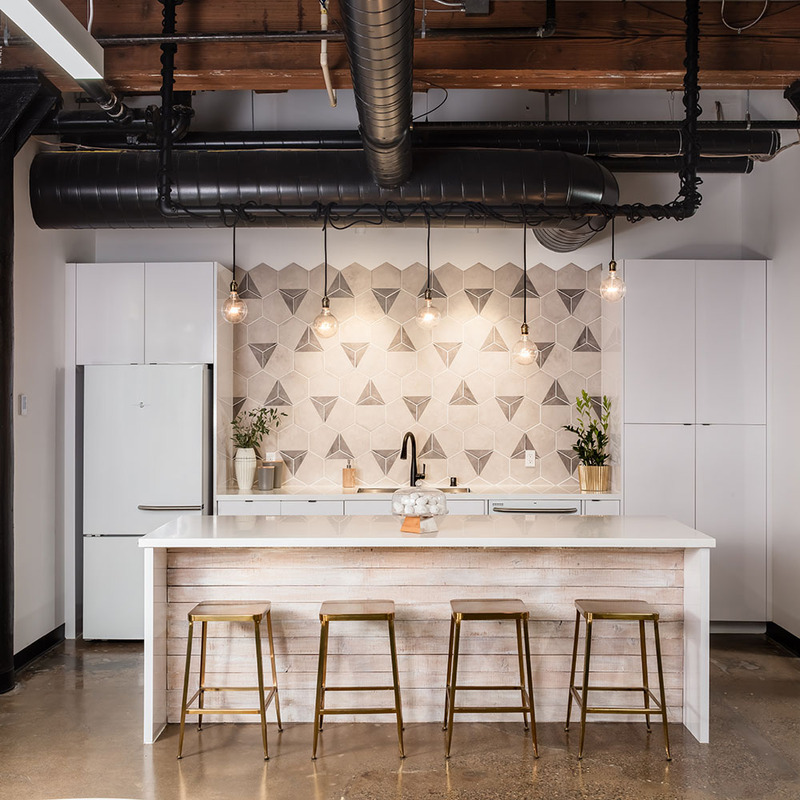 Backsplash Feature Walls: “These areas express personality and add texture and dimension to the space, while protecting the entire wall.” A fun or funky tile selection can also add an accent of vibrancy to an otherwise staid or traditional kitchen.